Before starting a business, one must need to consider the capital needed in order to be able put up or start that business. A capital can be simply defined as the money needed by a business to purchase goods that are used to maintain the business operations. Others refer to a capital as wealth or tangible financial assets, but it basically money still. Not all businesses were able to make it on their own due to the lack of capital. Some businesses were able to start by looking for potential investors. 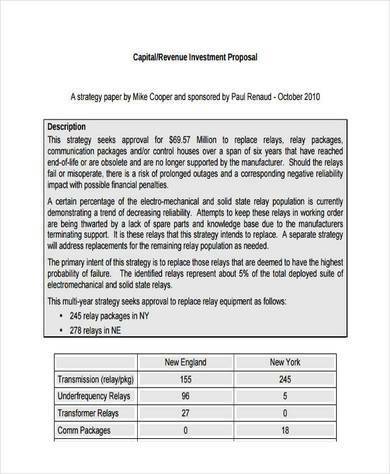 A type of proposal created to specifically to get investors is a capital investment proposals. 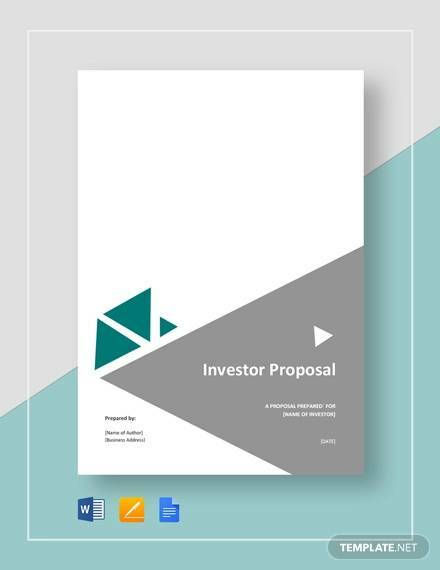 It is similar to that of other investment proposals where important information and details are presented to prospective investors to help them or persuade them to invest in the said business. Let us dig deeper int what a capital investment is. 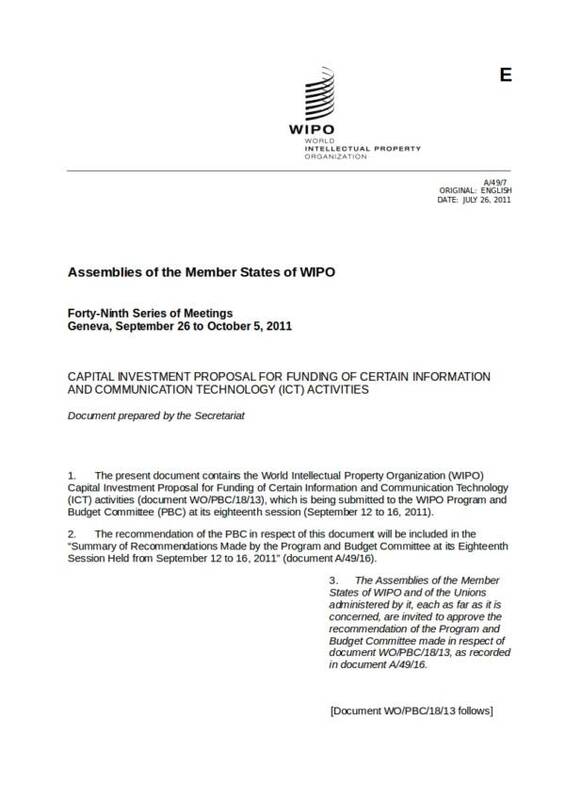 What Is Capital Investment Proposal? Capital investment is defined as the money or funds needed by a business to help them in making improvements or in expanding their business. Businesses not only require a capital to start and run their business but they also need a capital if they decide to expand or further their business venture. 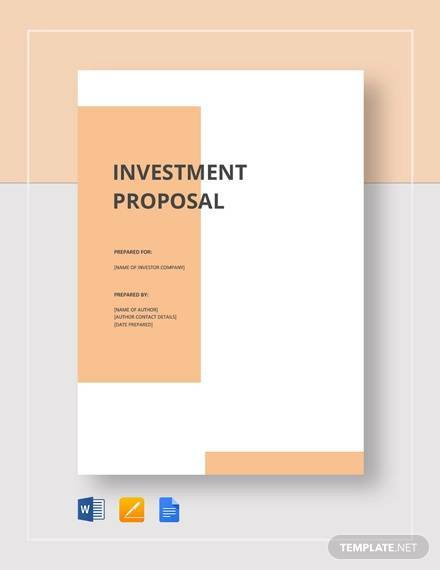 A capital investment proposal is the best tool to use to find and persuade suitable investors that share the same goals and perspective as that of the business and its owners. There are a number of sources for a capital investment and that, includes banking institutions, financial or lending institutions, venture capital, angel investors and equity investors. Banking institutions and financial institutions are the most common and usual sources of capital investment. Venture capital comes from well-off investors who provide finance support to small businesses or startup businesses who have long-term growth potential. Angel investors on the other hand are the opposite of venture capitalist. Angel investors are also well-off or affluent individuals, just like venture capitalists, but their investment in the business is either in exchange of ownership equity or debt conversion. An equity investor also invests in a company or business in exchange of getting shares or ownership. It is different from angel investors because they are not guaranteed with any return on the money they have invested. Also, if the company or business goes down, they lose their money together with it. 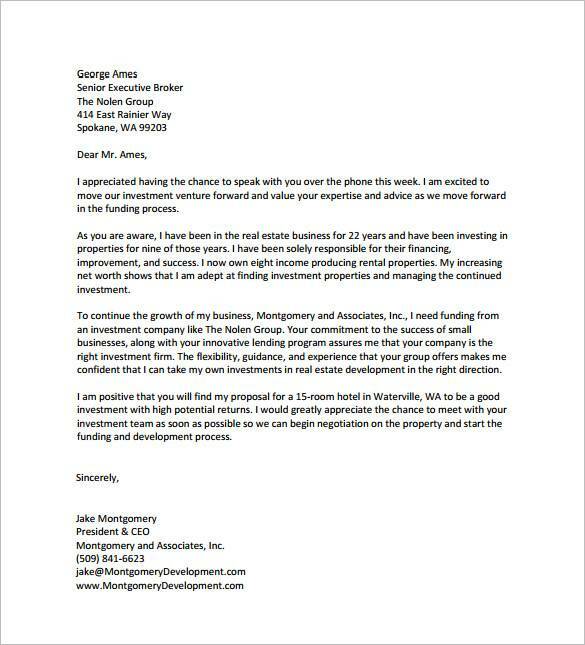 To learn more about investment proposals, you can check interesting articles, like Small Business Investment Proposal Samples & Templates, Property Investment Proposal Samples & Templates, and Real Estate Investment Proposal Samples & Templates. Funds are required in order to make improvements or further a particular business and that is why they require a capital investment. 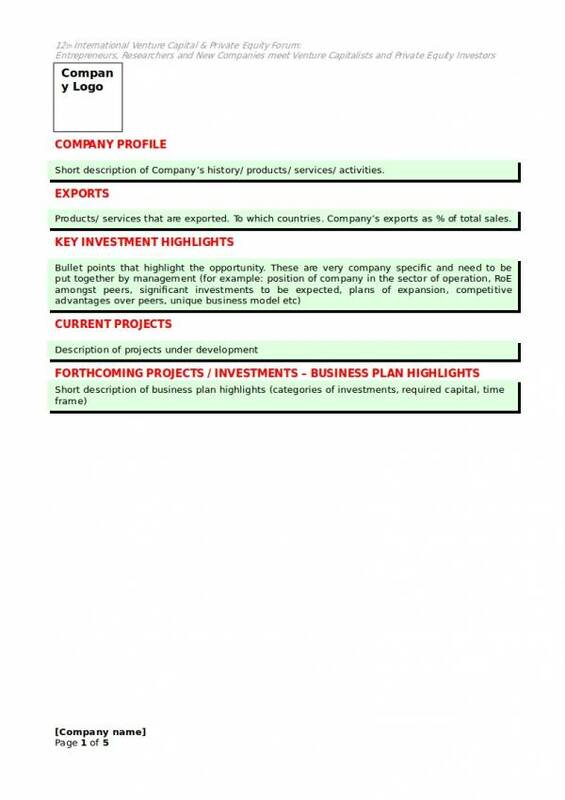 To further understand what it is, here is a list of the common examples of a capital investment. Improvements – As mentioned, capital investment are funds used to make improvements. 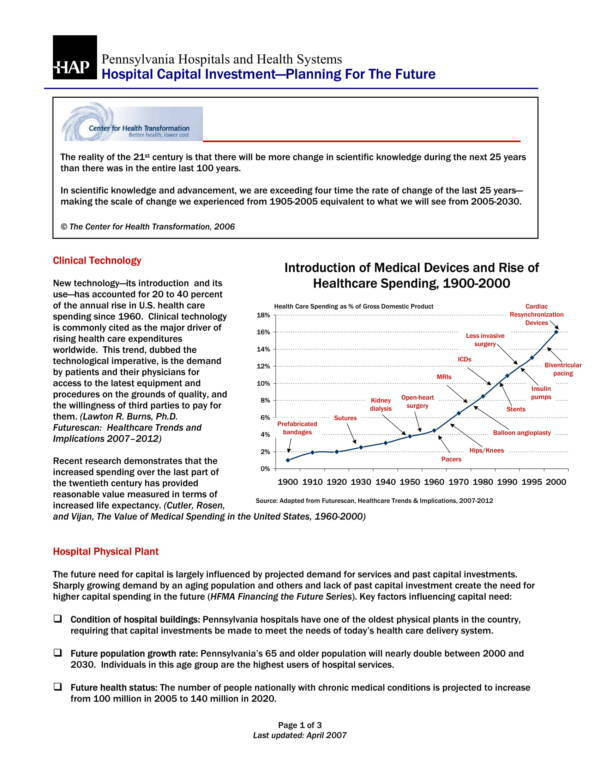 Maintenance and continuous improvements makes the life span of capital investments extend longer. Intellectual Property – This refers to an intellectual property that is acquired or purchased from another company, which can help a business grow. Land & Buildings – These are land and buildings purchased for business use. Construction – This refers to the cost of constructing buildings and infrastructures. Vehicles – Purchasing vehicle and other automobiles for business use is a capital investment. Acquisitions – Refers to the act of acquiring or purchasing another company to expand your own business. Software & Software Development – Buying a software that is used and is useful for your business is considered a capital investment, together with developing a software that can help make improvements on how you do things in the business. Machines – Refers to the machinery required for the business, especially one that can help in production. Branding – This refers to a brand that your business has purchased from another company that can help add value to your business, instead of creating your own. You may also find other related topics useful, like Startup Investment Proposal Samples & Templates and Business Investment Proposal Samples & Templates. 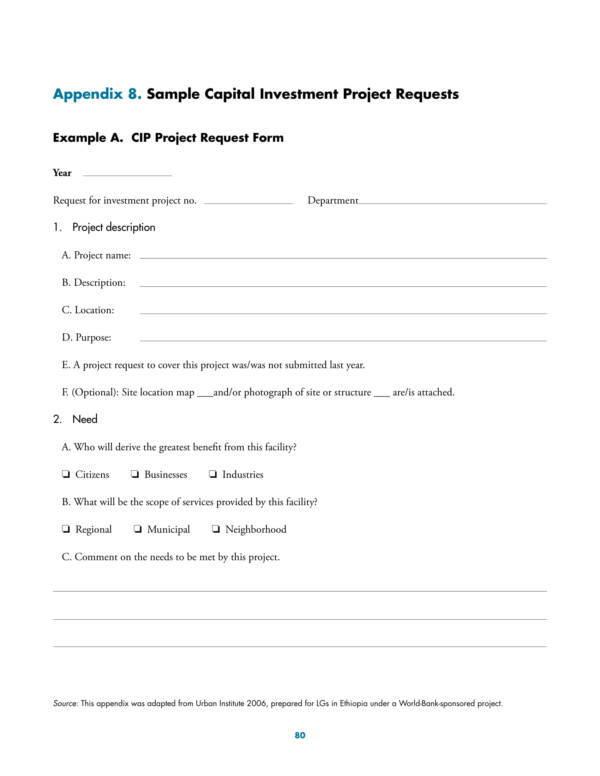 What Are the Steps Involved in Making a Capital Investment Decision? Making a capital investment decision is not something that can be easily decided on like you are just buying clothes to wear. Decisions related to capital investment follow certain steps before finally coming up with the final thing to do. 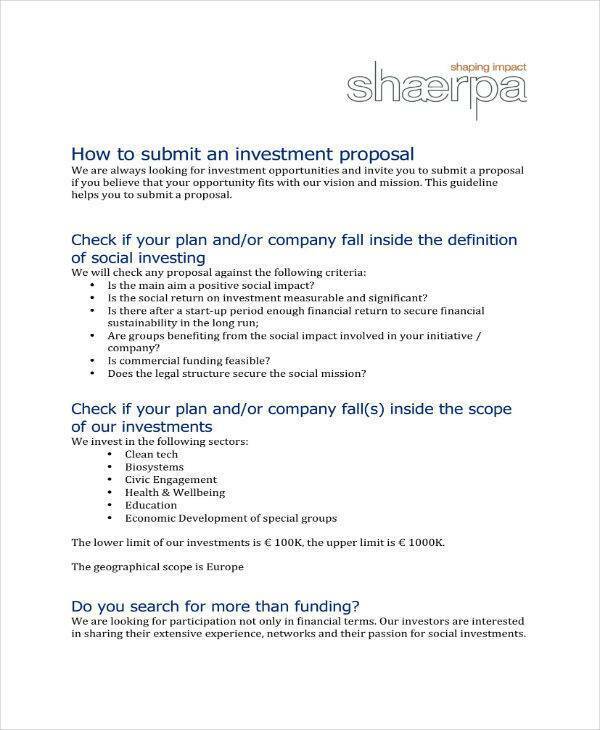 Below are the steps in making a capital investment decision. 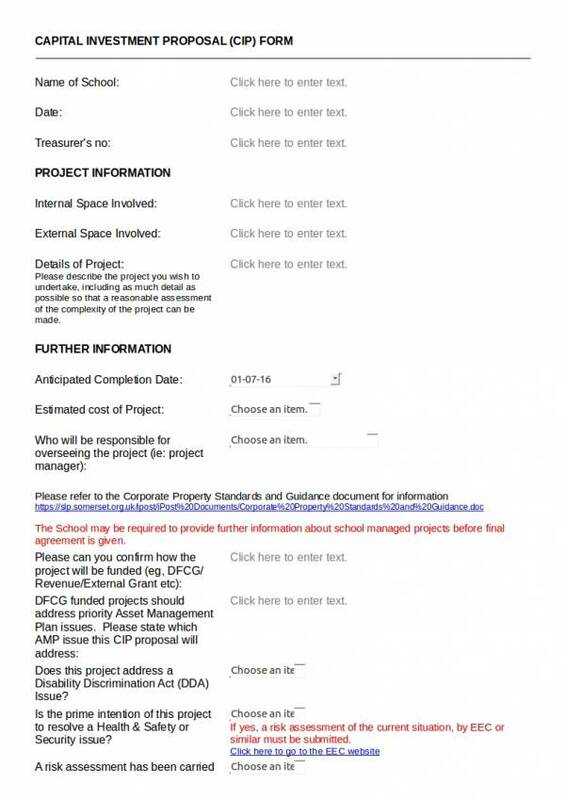 Project Identification – Determining or pointing out what the project is or what will it be. Project Definition and Project Screening – Providing a description on what the project is all about together with other specific details. The steps to be carried out in screening a project and the purpose of having is screened is provided. Analyzing and Accepting – The entire project is analyzed and determined if it should be accepted or not. The financial and non-financial benefits are also analyzed in this step. 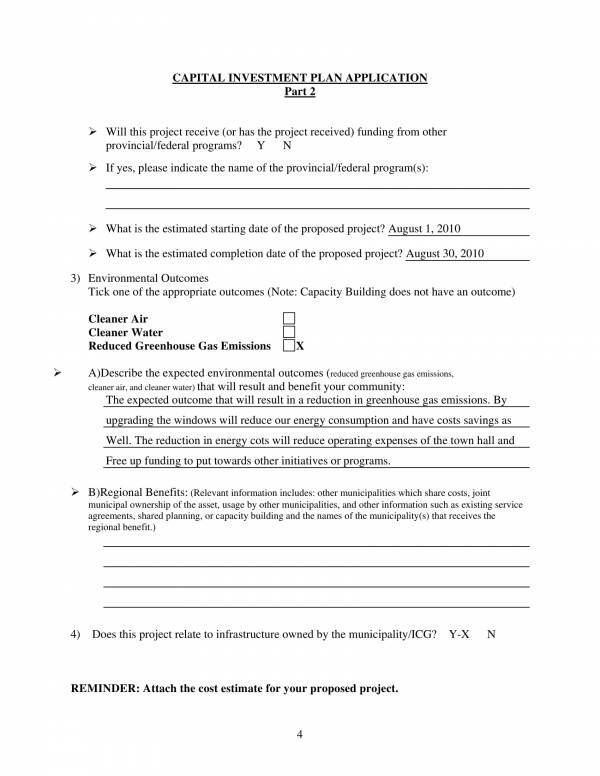 Implementation – Once the project has been accepted, it will then be implemented or carried out. Monitoring – This is done before, after and during the implementation process to ensure that everything is according to plan. 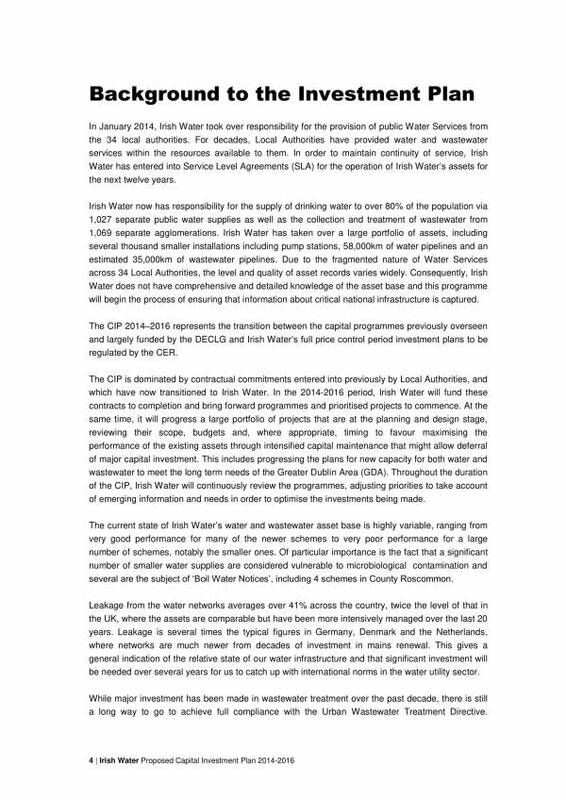 Post audit – Finally, the project is audited after all the steps in the capital investment decision is put in place to measure if its efficiency and determine any need for improvement. Take time to think and decide whether to invest on something or not, regardless of what type of investment you are trying to get yourself into. It is better to think about it thoroughly than join in impulsively. 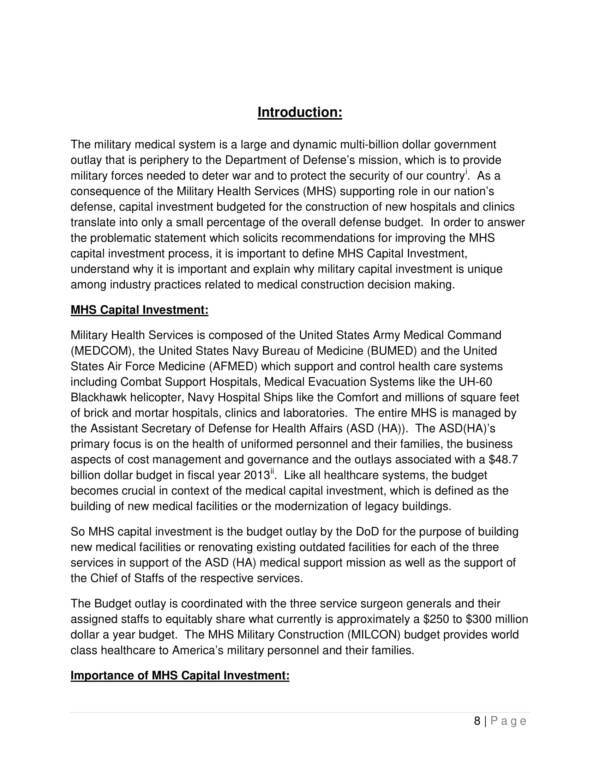 You can also check out other related articles, like Investment Proposal Samples & Templates, Investment Agreement Samples and Templates, and Construction Proposal Samples & Templates. Another term used to refer to a working capital is a net working capital. It is a means of measuring the short-term financial health and operational efficiency of company or business. It involves the current assets and and current liabilities of a company or business to be able to determine the working capital ratio. A working capital is derived by subtracting the current liabilities from the current assets. A good working capital ratio is determined if it falls between 1.2 or 2.0. A negative working capital is determined if the ratio is equivalent to 1.0 as this indicates liquidity problems, while a ratio of 2.0 and above tells that the company or business is not effectively using all its other assets to generate maximum revenue for the company or business. Investing is no easy feat. Investors take investing seriously, regardless if it is a small or big investment. This is because investing it involves giving or entrusting their hard earned money into something or some profit producing project that a friend or business partner has offered them. Often they are proposed by strangers. There are some things that investors want to know before they actually sign that check to invest in something and these things are listed below. The company’s or business’ financial performance. Financial stability is one of the things that prospective investors would want to know about a company or business that they will be investing. They will be asking questions related to the finances of the business. Other things that they will checking in line with financial stability includes, its growth over the years, its plan on further expansion, if it current assets are able to cover its short-term liabilities and if it is capable of managing its own finances. Its background experience in the industry where the business belongs. Experience in the related field or in a particularly industry is another thing that investors would check before investing. Experienced business owners and managers provide higher chances of success because they basically know how to do things related to the business industry and they already have built their network of support to help them succeed. Investors would look up a business to check on these details aside from reading the proposal provided to them. How unique the company is. Being ordinary is not something that investors would want to put their money on. The uniqueness of the products and services offered by a business is what makes investors interested, including how they are going to be sold and how consumers react to such products and services. Efficiency of the business model of the company. Show prospective investors the marketing strategy that you are using that enables your company or business to generate profit. This will show them how effective your strategy is. 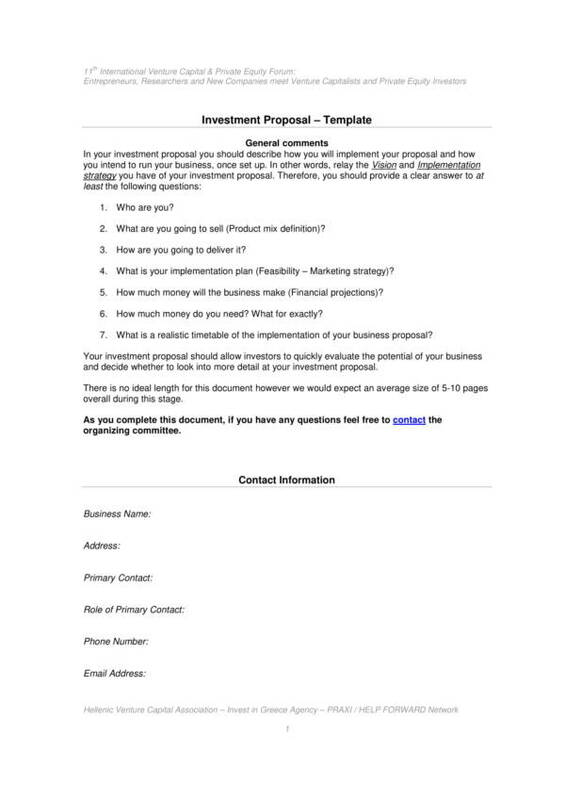 Make sure to customize your business plan and do a different pitch for every potential investor. Does it have a large enough market size? So if an investor would be investing in your company or business, then they will check if you have a big enough market that will help your business success in earning generating large profit. As an investor, you are not obliged to always say yes to every investment proposal presented to you. You have every right to check an scrutinize it as much as you want before finally giving your decision. It would help if you check the list above before you say yes to an investment. We hope that you are able to find this article useful. If you do, then you may also be interested in some related topics that we offer, like Financial Proposal Templates & Sample and Loan Proposals.